Figure 1: The ‘Chinese’ staircase at Trefeilir, probably photographed in the 1930s, showing the main balustrade of the staircase with its latticework patterns. DI2011_1010, NPRN 15898. © Royal Commission on the Ancient and Historical Monuments of Wales. Please note that this case study was first published on blogs.ucl.ac.uk/eicah in January 2014. The case study was last checked by the project team on 19 August 2014. For citation advice, visit ‘Using the website’. This case study begins with an unexpected discovery. Unfortunately, the notes gave no indication of the origins of the staircase design. 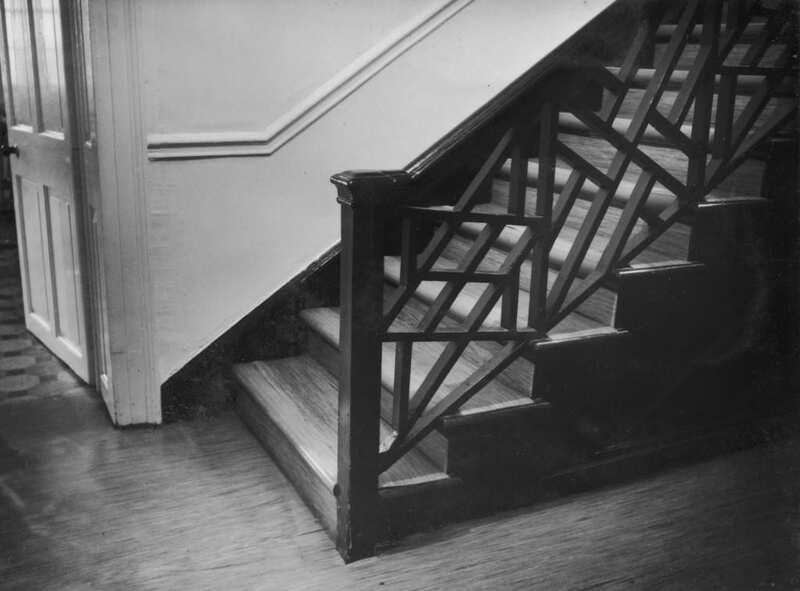 This case study will examine each of the staircases photographed as a unique piece of furniture and as a part of each house – as both fixture and fitting. It locates these ‘Chinese’ staircases within both the wider, global context of ‘Asian-inspired’ material culture design in the eighteenth century, and within more local, contemporary networks of design exchange. I aim to assess if, and to what degree, the East India Company’s trade network impacted on the interior design in the homes of the propertied classes in north-Wales in the eighteenth century. This research draws primarily on records from the National Monuments Record of Wales (NMRW), held by the Royal Commission (www.coflein.gov.uk). The Commission was established by Royal Warrant in 1908. Originally, the Warrant stated that the Commission was to ‘make an inventory of the Ancient and Historical Monuments and Constructions connected with or illustrative of the contemporary culture, civilisation and conditions of life of people in Wales and Monmouthshire from the earliest times, and to specify those which seem most worthy of preservation’. [iv] The basic function of the Royal Commission was to prepare inventories of buildings and monuments, and identify those considered valuable to the national heritage. During its history, the Royal Commission in Wales generated more data and documentation relating to the built environment of the region than had ever previously been held by a Welsh organisation. Although now a key part of the Commission’s function, initially there was no dedicated recording or information service provided for the public. Consequently, documentation originally produced through the various Royal Commissions’ investigations and their compilation of inventories was preserved in sets of working files. The content of these files was later merged with the NMRW to form the current core of the Commission’s archive. 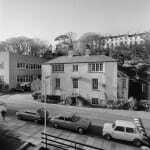 The NMRW was formally instituted as the Commission’s records arm in 1963, with the transfer to the Royal Commission of the Welsh section of the National Buildings Record (NBR). The NBR was an archive created during the Second World War. It was founded in England in 1941 at the height of the London Blitz by a small group of people who were appalled by the scale the destruction of British buildings due to the intensive bombing of the country. The organisation was both independent and professional, and set out to make photographic and hand-drawn records of building before they were damaged or completely destroyed. This collection now forms the core of the Royal Commission’s archive, and is kept as sets of working files that incorporate material from earlier work, alongside newspaper clippings, site notes and later additions and amendments to previous work. The records accessed for this case study are a composite of all these sources, with successive written reports, photographic surveys and drawings appearing alongside one another in site files. As a result, the sources used for this case study have a strong architectural focus, with an emphasis on the design and appearance of buildings and their features in the context of architectural history, rather than the details of their social or cultural relevance. County Archives in Anglesey and Gwynedd were also consulted during the course of this research, alongside papers and documentation held by Bangor University, and conversations with curatorial staff at Bangor Museum and Art Gallery, and the National Trust. Unfortunately, despite the multiplicity of potential resources it seems that very little information relating specifically to the ‘Chinese’ staircases in this study survives today, beyond that which exists in the NMRW. Fortunately, there is a larger volume of literature relating to eighteenth-century interior design and its broader context, as well as textbooks and articles relating particularly to ‘Chinese’ staircases, all of which have informed this study. This case study focuses on three ‘Chinese’ staircases in north-west Wales: Tan-yr-Allt in Bangor, Caernarvonshire; Bishopsgate House in Beaumaris, Anglesey; and Trefeilir in Trefdraeth, Anglesey. Tan-yr-Allt and Trefeilir were both originally country houses built or occupied during the eighteenth century, while Bishopsgate House is a townhouse owned and used by the Bulkeley family based at Baron Hill, also in Anglesey. The houses are all within a seventeen-mile radius of one another, and have ‘Chinese’ staircases that survive to the present day, though in variable conditions. The case study will also consider a number of “missing” staircases in the area that were identified as ‘Chinese’ in the written record but that leave little or no material trace. Three houses begin this case study. Tan-yr-Allt in Bangor, Caernarvonshire; Bishopsgate House in Beaumaris, Anglesey; and Trefeilir in Trefdraeth, Anglesey are all situated within a seventeen-mile radius of one another in north-west Wales and each has a ‘Chinese’ staircase that survives to the present day. 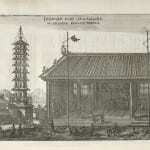 Each house contains a staircase possibly made between 1755 and c.1760, to similar Chinese-style designs. How can we begin to explain them and their installation in north-west Wales during eighteenth century? To what extent was the influence of one of Anglesey’s most iconic buildings, Plas Newydd a factor? Did local connections with the East India Company play any part? To best understand the genesis of the staircases in this case study, it is necessary to understand both Chinese and ‘Chinese’ material culture and design in its historical context. This section of the case study explores the eighteenth-century fashion for ‘Chinese’ material culture, which peaked in Britain between 1750 and 1760. 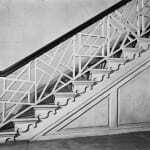 After pulling together the different strands of the study, the conclusion also discusses the ways in which ‘Chinese’ staircases existed as a phenomenon across the British empire. 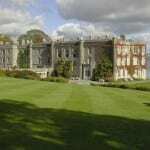 They appeared in wealthy homes in the wider United Kingdom, as well as those in the USA and Barbados. To access a full bibliography for the study, click here. To access the PDF version of the study, click here. The text and research for this case study was primarily authored by Rachael Barnwell of the Royal Commission on the Ancient and Historical Monuments of Wales. I very much enjoyed reading your case study on the ‘Chinese’ staircases in North Wales. However, I would just like to point out that the locations you mention are in North-West Wales rather than North-East Wales. Thank you for your feedback, and I’m pleased you enjoyed this case study. Thank you, too, for pointing out my error with the geographical location of the study. Some of the properties I looked at. The error has now been corrected throughout the case study. [i] Post-1996, these counties are known as Ynys Môn and Gwynedd respectively. [ii] Linda Hall, Period House Fixtures and Fittings 1300 – 1900 (Newbury: Countryside Books, 2005); Rachael Barnwell and Richard Suggett, Y Tu Mewn i Gartrefi Cymru/Inside Welsh Homes (Aberystwyth: Royal Commission on the Ancient and Historical Monuments of Wales, 2012) pp. 55 – 99. [iii] NMR Site Files: Caernarvonshire Domestic SH57SE (Tan-yr-Allt); Anglesey Domestic SH67NW (Bishopsgate House); Anglesey Domestic SH47SW (Trefeilir). [iv] David M. Browne, ‘From antiquarianism to archaeology: the genesis and achievement of the Royal Commission’s Anglesey volume’ Archaeologica Cambrensis 156 (2007) pp. 33 – 49.